On the last day of our visit to Bangkok for Asia’s 50 Best 2017 we dragged our suitcases to one last stop – Issaya Siamese Club, no. 21 on the list. 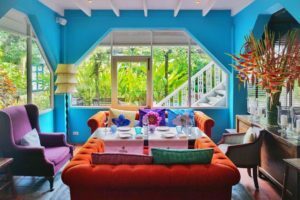 A historic, brightly coloured villa nestled in a verdant garden, Issaya Siamese Club by the famous Chef Ian Kittichai was the perfect retreat on a drizzly Bangkok afternoon. Little did we know, however, that we would experience one of our favorite dishes of all time – their Kraduk Mu Ob Sauce. 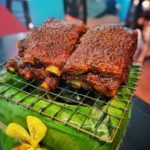 These ribs simply blew our minds – we are beyond excited to be able to share one of our favorite dishes in the world with you! If you’re in Bangkok, don’t miss stopping by ISC for an authentic, fun and relaxing meal. But now, on to the ribs…. (and if you don’t eat pork, never fear – just substitute beef). 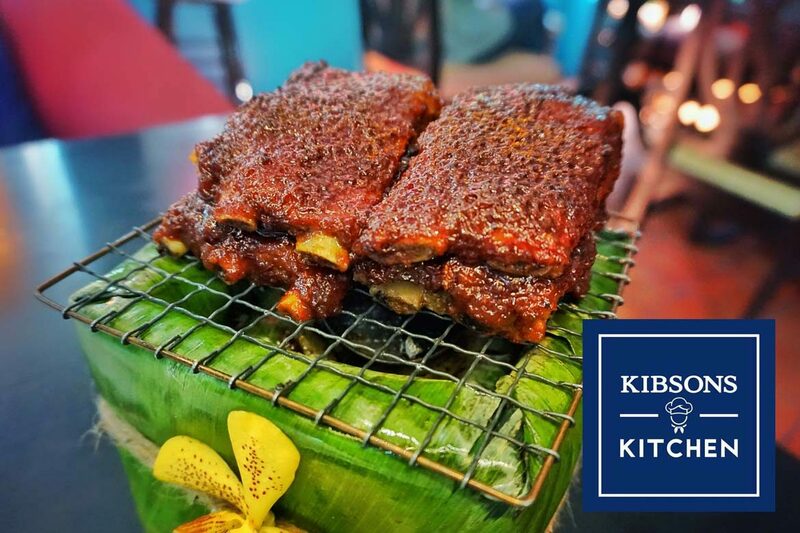 You can find the ingredients you’ll need for this recipe at our fave, Kibsons. Their produce is super fresh, has a ton of organic options, is fabulous value and they’ll even deliver to your doorstep. They also have lots of hard to find Thai ingredients. Click here to find out more. You’re going to need Issaya’s Red Curry Paste recipe for this dish – click here to find it. Step 1: In a pot, bring all ingredients to a boil, cover with alumnium foil. Reduce heat to low and let simmer for 2 hours. Step 2: Remove ribs from pot and pour sauce over them. Step 3: Place baby back ribs under salamander or grill for 5-8 minutes.